Growing up to 2 feet in height, the arnica is a type of flowering plant (a perennial to be exact) that is closely related to the common daisy – although I should note that the arnica is far from common. Native to the towering peaks of Europe and Siberia, this particular plant has held a place in traditional medical practices for thousands of years, where it is easily recognised by its unique yellow and orange flower, and potent aroma . In a traditional setting, these flowers have been used to make arnica oil – a potent and aromatic oil that was used to cure aches and pains, promote improved joint health, and even treat snake and insect bites. Despite its frequent use in these ancient settings, Arnica oil is only now being researched to the degree it deserves. With this in mind, Arnica Oil is showing to have a host of positive benefits to our health, in which it acts through a number of different mechanisms. Before we get into the nitty gritty of how this amazing plant can help you, it is important to note that although arnica oil can physically be purchased in its 100% pure form, it is actually best used when diluted with approximately 50% water. This is because the oil does contain trace amounts of specific compounds that can be toxic in large doses, and as such we want to limit the likelihood of experience any side effects. Now, I realise that you might be wondering whether Arnica Oil is really going to be all that effective when diluted, and I can assure that it will. 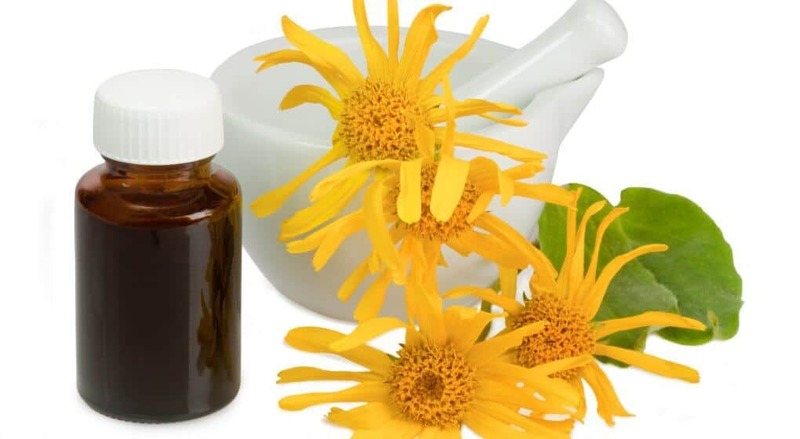 The active compounds found in Arnica Oil are extremely potent, and as such they will have a positive effect even if they are applied in very small amounts. While Arnica Oil has been touted as a cure-all in European medicine for centuries, the research is only just beginning to catch up. With this in mind, Arnica Oils has been shown to have some interesting and positive interactions within the body, making it a great option for those looking to cause large improvements in their physical health. For those of us who exercise on a regular basis, small muscle injuries are (unfortunately) a somewhat unavoidable occurrence. While they are definitely unpleasant, they don’t have to last all that long. Particularly if we intervene with Arnica Oil. Arnica oil contains relatively large amounts of the compound thymol. Thymol interacts with the blood vessels within the muscle tissue, causing them to dilate. This greatly enhances blood flow to the muscle tissue, improving the rate at which essential nutrients and antibodies are shuttled to the damaged tissue . This can speed up the rate that dead and useless tissue is removed from the site of injury, while simultaneously increasing the rate at which the damaged tissue is repaired and regrown. In a similar vein of thought, delayed onset muscle soreness (AKA DOMs) is a normal part of any regular exercise regime. Fortunately, arnica oil also contains a compound that has extremely potent anti-inflammatory properties, called helenalin. As such, the application of arnica oil to sore muscle tissue can reduce exercise induced inflammation, causing improved recovery. As an added bonus, this improved recovery has also been shown to occur in conjunction with a significant reduction in pain . In the long run, this means Arnica Oil can help us train harder and longer, without any associated muscle soreness. Bruised skin is essentially an indication of damage or ruptures to the underlying blood vessels, often occurring in response to some form of blunt force trauma. While not life threatening, they can certainly be painful. But on a more positive note, the application of Arnica oil to a bruised are has been shown to increase the rate of healing considerably, while also causing a notable reduction in bruise related skin pain . Arthritis is one of the most common diseases to plague the population, in which it describes the pain, stiffness, and swelling that impedes the healthy function of our joints. With this in mind, (considering its anti-inflammatory properties) Arnica Oil has been shown to be an extremely effective treatment for arthritis and arthritis related pain . In fact, applying Arnica oil to the skin twice per day has been shown more effective at treating arthritic symptoms than pharmaceutical grade anti-inflammatory drugs such as ibuprofen, making it one of the most effective natural remedies for arthritis available on the planet. One of the more unique effects of Arnica oil relates to its ability to promote the growth of new hair. Arnica contains an abundance of essential fatty acids, that when applied to the skin, can support the growth of new hair follicles. 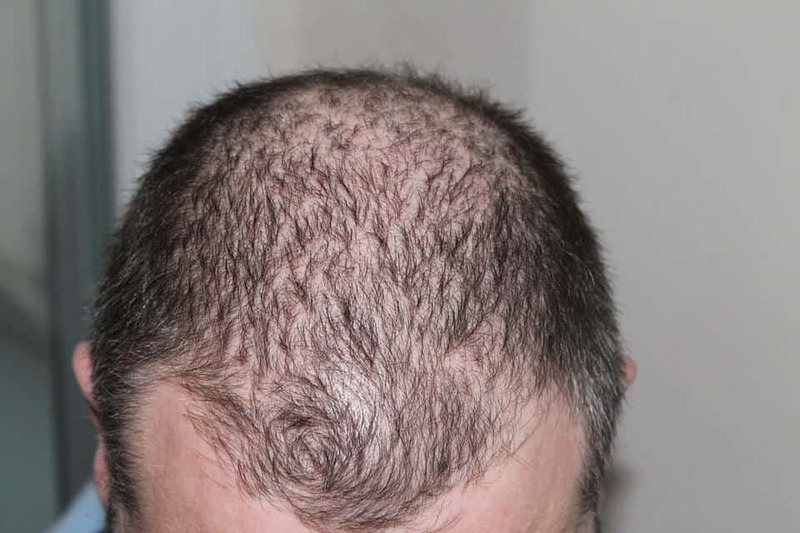 As such, Arnica oil can help reduce the effects of age related hair loss and male pattern baldness . Combined with its capacity to reduce inflammation and promote blood flow, Arnica oil also contains some effective antimicrobial compounds. These compounds have been shown to be highly effective at treating nasty skin conditions such as psoriasis, acne, and eczema. Additionally, considering its healing properties, Arnica has also been shown to reduce blemishes and improve skin quality in its entirety . As previously mentioned, Arnica does contain certain compounds that can be toxic in high doses. As such, it should not be applied to open wounds. Additionally, individuals who are allergic to plants from the daisy family may also be allergic to Arnica (as they are closely related). Considering this, it is best you check with your doctor before applying to the skin. And as always, if you do experience ANY side effects associated with the use of Arnica Oil, we recommend you cease using it immediately, and seek advice from a medical professional. Arnica Oil really is an amazing natural remedy. Considering its ability to heal damaged tissue, treat joint and muscle pains, promote the growth of new hair, and improve the quality of our skin, it truly is one of a kind. It is important to remember that Arnica Oil is best used in a diluted form to enhance safety without seeing a drop in effectiveness. For those of you who have tried Arnica Oil, we would love to hear about your experiences, so drop us a comment and we will get back to you ASAP!